Martin Conway could be the new alliance of independent TDs’ latest recruit. FINE GAEL SENATOR Martin Conway is considering defecting to the new alliance of independent TDs being formed by Shane Ross and Michael Fitzmaurice, TheJournal.ie has learned. The Clare-based senator would not confirm his intentions when contacted and said he was “expecting a nomination” from Fine Gael to run for the Dáil at the next general election. 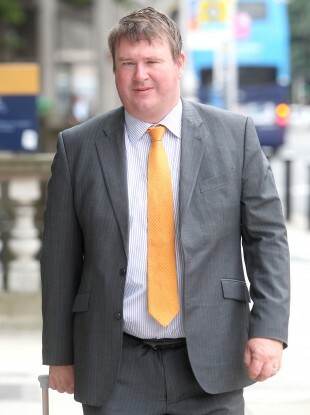 However, this website has established that he is extremely unlikely to get his party’s nomination in the Clare constituency where it has two sitting TDs – Pat Breen and Joe Carey – and has also established that he has held discussions with the group being called the Independent Alliance. The recruitment of a government senator would be a coup for the burgeoning political alliance of independents TDs which has also held discussions with as many as 40 councillors across the country in recent weeks. Ross and Fitzmaurice confirmed further details of their new political alliance to RTÉ last night with fellow independent deputies Stephen Donnelly, Finian McGrath, Mattie McGrath, John Halligan, Noel Grealish and Tom Fleming also involved. Former Fine Gael TD Denis Naughten has also expressed an interest in joining the group, while the intentions of former Labour minister Róisín Shortall, and independents Catherine Murphy and Maureen O’Sullivan remain unclear. “We get on very well with Martin generally. We’re always slagging him because he’s been very independent-minded in the Seanad and has a great sense of social justice. Guys like him would be very welcome, but I don’t know what his intentions are,” the independent TD Finian McGrath said. When it was put to Conway that he was planning to defect, he replied “I wouldn’t say that” but added: “I am certainly expecting a nomination [from Fine Gael]. The senator, who is visually impaired, said he held a “very positive meeting” with the Fine Gael general secretary Tom Curran before Christmas. However, it’s widely expected that Fine Gael will not be nominating any male senators for a run at the Dáil in the next general election. This is primarily because the party needs to secure enough female candidates in order to meet the 30 per cent gender balance target at the next election. While this could benefit the likes of senator Catherine Noone, who could run in Leo Varadkar’s Dublin West constituency, the likes of former world champion runner Eamonn Coghlan, who ran in the same constituency in a by-election last year, could lose out. Email “This Fine Gael senator could defect to the new Independent Alliance”. Feedback on “This Fine Gael senator could defect to the new Independent Alliance”.